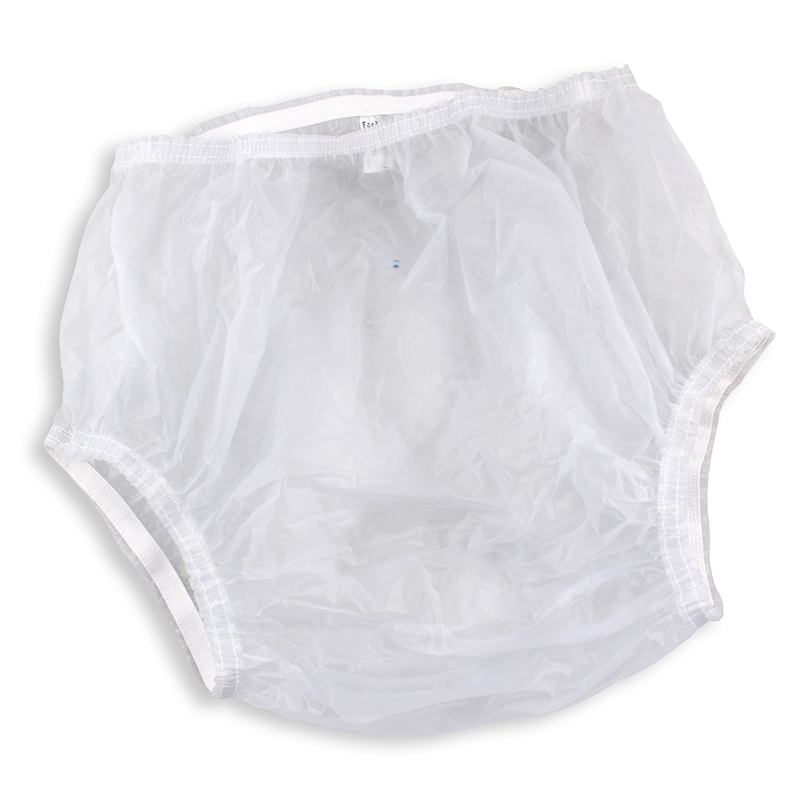 This pant is made in a soft smooth vinyl (100% PVC) and they have heat sealed sides. Small for waist 26" to 38" (66cm-97cm), hips to 39" (99cm). Extra large (XL) for waist 42" to 58" (108cm-148cm), hips to 59" (150cm). Leg 18-33"
Extra-extra-large (XXL) for waist 50" to 75" (128cm-190cm), hips to 75" (190cm). Same cut as photo but with a frosted finish. Less smooth on one side than the clear is. It has a light texture on the inside. 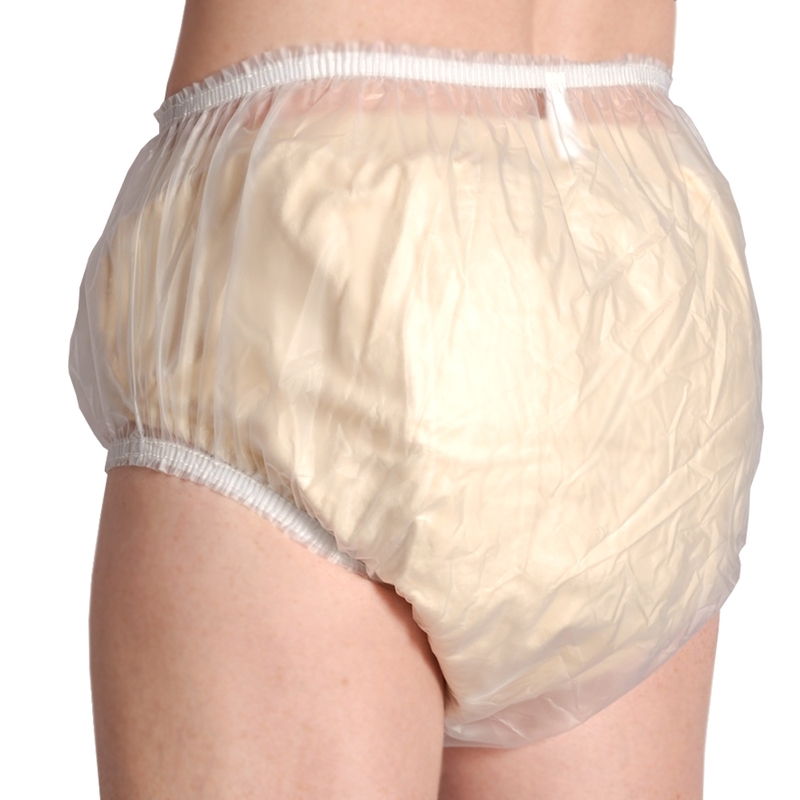 A reliable and durable protective plastic pant for all your incontinence needs. Using a plastic pant at night time can help prevent tedious and expensive changing and laundering of sheets every morning. With the exception of the frosted pant, all of the colors are smooth and somewhat shiny. The frosted has a light texture on one side. follow the given advise and ordered a size bigger than I thought, but it seems too loose now. Wishing I had ordered the regular size.